Orthodontic assistants perform clerical and medical tasks to help orthodontists provide care to patients and keep operations running smoothly. 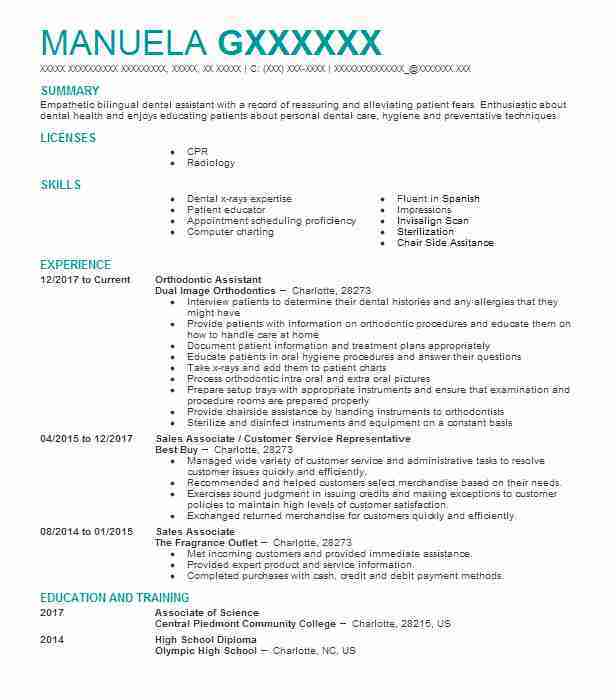 If you’re applying for this position, your resume objective should help highlight the unique skills that will help you perform this job. 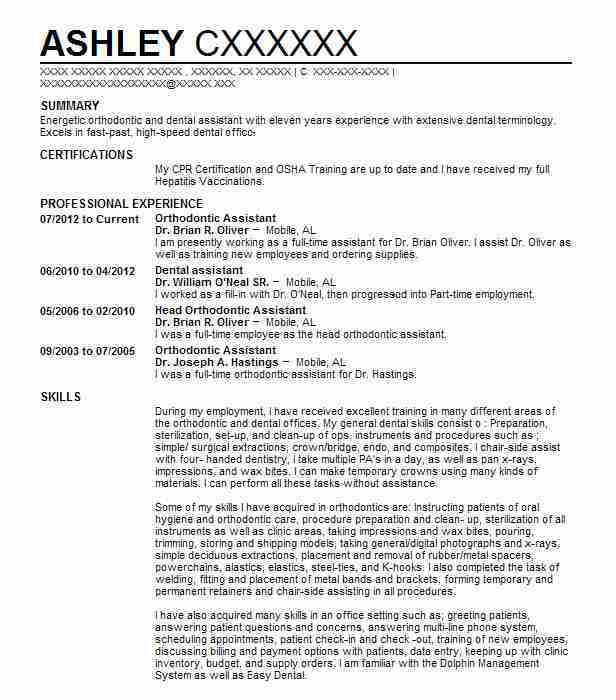 Your objective can be one of the most influential parts of your resume, which means that drafting an articulate and convincing statement is crucial. Orthodontic assistants must have a blend of medical knowledge, technological proficiency and interpersonal skills. These professionals may be responsible for taking medical histories, x-rays and tooth impressions. They might also clean instruments and provide assistance during orthodontic treatments, which could range from routine care to surgical procedures. Many orthodontic assistants also handle scheduling, billing and recordkeeping. Your objective should emphasize the skills that will allow you to work well with both orthodontists and patients, such as communication and organizational skills. 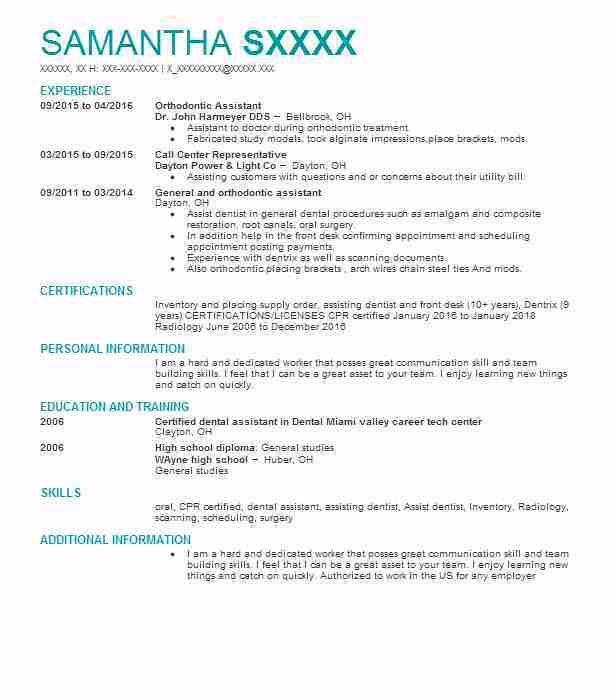 You should also reference any relevant education or experience. 1. Licensed graduate seeking to strengthen administrative skills while delivering outstanding service as an orthodontic assistant at ABC dental practice. 2. Looking for employment at ABC practice as an orthodontic assistant providing efficient, personal patient care. 3. Seeking an orthodontic assistant position at ABC orthodontic practice in which knowledge and chair-side manner can be used to improve patient experiences. 4. Professional with four years of experience looking to apply organizational and communication skills as an orthodontic assistant at ABC dental practice. 5. 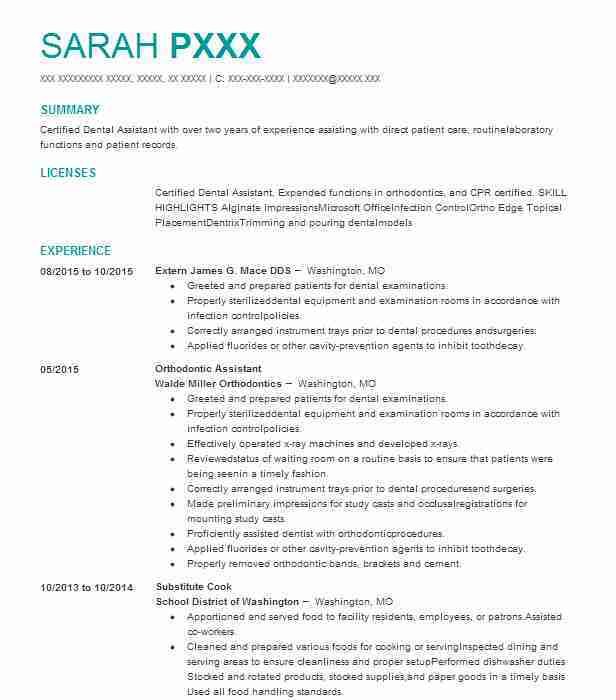 Pursuing an orthodontic assistant position at ABC dental practice that will utilize experience taking x-rays, creating impressions and connecting with patients. 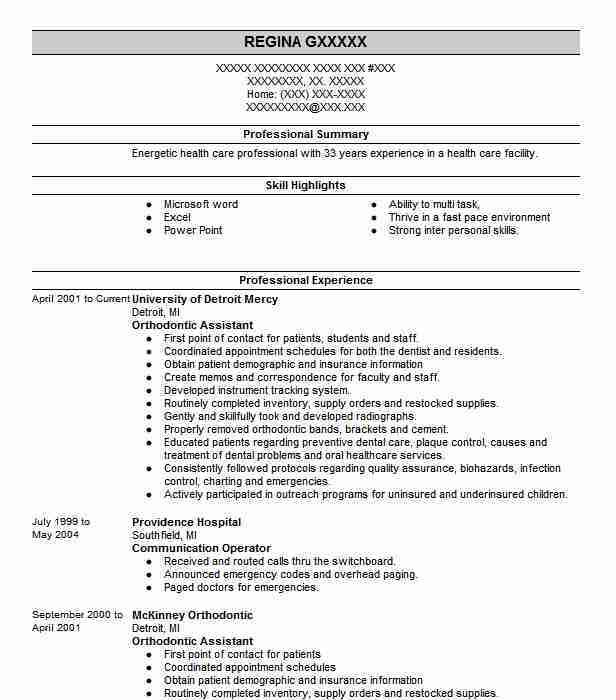 Summary: Energetic health care professional with 33 years experience in a health care facility.